This dish is easy to prepare and is one of the favorite healthy breakfasts at my home. I conceived this recipe while trying to cultivate the habit of including wheat and soya for breakfast. This dish offers rich sources of protein, dietary fiber and carbohydrates from the wheat based macaroni and more protein from the soya nuggets. Green olives may be added as desired for taste. 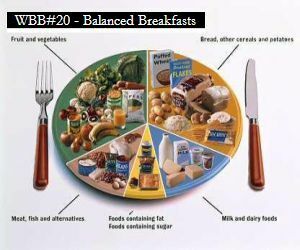 I am posting this recipe for the event Balanced breakfast meals hosted by Mansi. For every cup of macaroni, add 1 and 1/2 cups of water and boil it with salt and refined oil. Drain the water and keep aside. Heat the butter in a pan and sauté the onions, garlic and tomatoes till they turn glossy. Add chilly powder and salt to the above mixture and stir well. Add the pasta, soy nuggets and olives. Cook for few minutes with the lid covered. Sprinkle some seasoning and cook for a minute. Pour in the tomato ketchup and cook for a minute. I remember you had once recommended the use of ‘Soy day’ soya chunks. I tried it and really liked it. 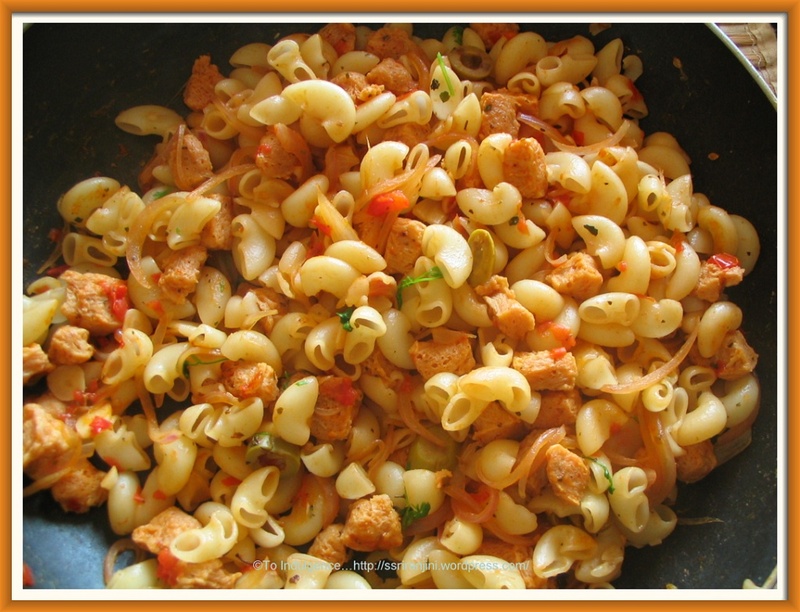 Thats when I actually started using soya chunks in vegetables, pastas, etc; to make healthier dishes. Great idea , Thanks Ranjini ! about two to three times a month. We also like to add corn and peas for texture! !